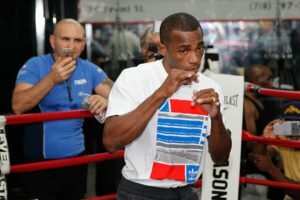 Junior middleweight slickster Erislandy Lara will be defending his WBA super world title this weekend when he faces undefeated Terrell Gausha at the Barclay’s Center in Brooklyn, New York. The bout will headline a stacked card that will be aired live Saturday starting at 10 PM eastern standard time on the Showtime pay cable network. Lara, a 24-2-2 student of the Cuban school of boxing, is a challenge for any fighter. Indeed, some feel he bested Canelo Alvarez in a fight Alvarez squeezed a decision win out of back in 2014. Cleveland’s Gausha, on the other hand, holds a 20-0 record, but has never faced anyone of Lara’ s pedigree. With that in mind, Lara is getting on at 34 years of age and hasn’t fought since January, when he bested Yuri Foreman in a bout some thought shouldn’t even have been made. Also that evening, the undefeated, 29-0 Jermell Charlo will be defending his WBC world title in the super welterweight division by facing hard hitting 18-0 Erickson Lubin. Charlo will be coming off a streak where none of his last three bouts have gone the distance. Indeed, the man has been looking impressive as of late. For his own part, however, Orlando’s Lubin has stopped three of his own last four opponents within the distance. Some see this as the top fight of the evening, even though it will be taking a back seat to the Lara-Gausha bout in the card’s lineup. Charlo, after all, is on a hot streak…and Lubin has made it clear he’s a man with something to prove. 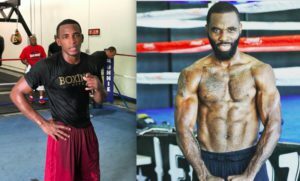 Still yet another junior middleweight championship bout will be going down in front of Showtime cameras on Saturday, featuring veteran fighter Austin Trout and Jarrett Hurd for Hurd’s IBF world super welterweight title. Trout a 30-3 former division titlist, hasn’t fought in over a year but is looking at a chance to reclaim past glory. Hurd’s name may not be as illustrious as former Trout foes Canelo Alvarez ‘ and Miguel Cotto’s are, but the 20-0 Maryland native has a ten year age advantage and can boast of having knocked out his last six opponents. In fact, the last time a Hurd fight went the distance was back in 2014 when the fighter bested Emmanuel Sanchez on the cards. This isn’t a going to be a battle where bad behavior is to be found in the leadup, however, as both Trout and Hurd are known to be respectful and professional. The following is the Boxing Insider notebook for the week of October 3rd to October 10th; covering the comings and goings in the sport of boxing that you might have missed. 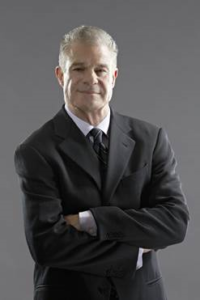 HBO Sports has entered into a new multi-year agreement with acclaimed broadcaster Jim Lampley, who serves as the primary voice for its HBO Boxing franchise. Lampley will continue to serve on multiple HBO Boxing platforms, including the host and blow-by-blow voice for “World Championship Boxing®,” “HBO Boxing After Dark®” and HBO Pay-Per-View.® He also will continue to host the boxing studio program “The Fight Game With Jim Lampley.” The agreement was announced today by Peter Nelson, executive vice president, HBO Sports. A four-time Sports Emmy® Award winner, Lampley was inducted into the International Boxing Hall of Fame in Canastota, NY on June 14, 2015. Starting with his first HBO presentation, the “World Championship Boxing” fight between Mike Tyson and Tony Tubbs from Tokyo on March 20, 1988, Lampley has been at the helm for many of the most dramatic moments in HBO Boxing history. Lampley returns to HBO on Saturday, Oct. 21 when he calls the “HBO Boxing After Dark” tripleheader from Verona, NY at 10:05 p.m. (ET/PT). The next edition of “The Fight Game With Jim Lampley” premieres Wednesday, Nov. 8 at 11:00 p.m. (ET/PT). Top Rank’s Bob Arum recently spoke to Steve Kim of the Undisputed Boxing Network and stated that he will one hundred percent support Pacquiao’s plan to retire. Pacquiao was last seen in the ring when he lost a shocking defeat to Australia’s Jeff Horn in July. Pacquiao hasn’t made an official decision to retire yet, but Horn already has a title fight lined up and Pacquiao’s political duties make it difficult to schedule a fight inside the ring. Arum also stated he would be happy if Pacquiao decided to retire. He mentioned Andre Ward’s recent retirement when he stated, “So I think Andre did a really smart thing in retiring and, if Manny decides to retire- which I don’t kow- but if he does, I’ll be applauding it. Streaking junior lightweight Tevin Farmer, 25-4-1, 5 KOs, will go home with two awards at Sunday’s 10th Annual Briscoe Awards on Sunday, October 15, 2017. The annual event will be held at Xfinity Live! in Philadelphia. Farmer, currently riding an 18-bout winning streak, is looking toward a December crack at the vacant IBF 130-pound world title. However, before that milestone comes, he will stop by the Briscoe Awards on Sunday, to receive recognition for the “2016 Performance of the Year” and as the “2016 Prospect of the Year”. Farmer was brilliant in his fight with Ivan Redkach last year, and his virtuoso performance will be honored as the best among all other Philly fighters for 2016. This is the second straight year that Farmer has won the award. Overall, Farmer posted four victories in 2016, pushing himself up the rankings and in position for his upcoming title opportunity. That four-fight run earned him the nod as Philly’s best prospect. If he can wrest the title in December, he’ll surely be in the running for the “2017 Philly Fighter of the Year Award”. Six of the top 154-pound world champions and contenders will look to put on a show for the fans in New York as they prepare to enter the ring for a SHOWTIME CHAMPIONSHIP BOXING tripleheader Saturday, October 14 from Barclays Center, the home of BROOKLYN BOXING®. The Premier Boxing Champions event is headlined by Erislandy “The American Dream” Lara defending against undefeated Terrell Gausha. Coverage on SHOWTIME begins at 10 p.m. ET/7 p.m. PT and features hard-hitting unbeaten champion Jermell “Iron Man” Charlo taking on top contender Erickson “Hammer” Lubin and “Swift” Jarrett Hurd making his first title defense against tough former world champion Austin “No Doubt” Trout. The undefeated 2012 U.S. Olympian Gausha is the only fighter on the card who will be making his Barclays Center debut. However, the Cleveland-native has fought once in New York before and looks forward to a return, this time on its’ biggest stage. Gausha faces WBA Champion Erislandy Lara, who won a decision against Austin Trout in their 2013 title showdown at Barclays Center. This time, Lara looks forward to taking advantage of his elevated role as the main event of this show. Both WBC Champion Jermell Charlo and WBC No. 1 contender Erickson Lubin delivered sensational knockouts to make their Barclays Center debuts in 2017. Charlo made his first world title defense in April by stopping Charles Hatley and wants nothing else but to take care of business when he returns to the squared circle at Barclays Center. Lubin has the strongest connection to the city of the six fighters, as he has made his training camp in nearby Hackensack, N.J., and is frequently able to visit his mother, who is living in Queens. He delivered a one-punch knockout of Jorge Cota at Barclays Center in March on CBS to earn this title opportunity on October 14. “My last fight was my first ever in New York as a pro or amateur, and it was a memorable one,” said Lubin. “I left the crowd satisfied and entertained them with my squat and hit him with an overhand to knock him out. New York is like my second home and I love it here. For IBF Champion Jarrett Hurd and former champion Austin Trout, New York has been a place for career-defining moments. For Hurd, his March 2016 stoppage of Mexican Olympian Carlos Molina at Barclays Center buoyed him towards his world title shot and eventually championship triumph. “When I beat an Olympian like Carlos Molina, that was definitely when I first thought that I was a fighter who could win a world title and it proved I could compete against anybody,” said Hurd. “I think I picked up some fans in New York between that and beating the ‘Brooklyn Rocky’ Frank Galarza. New York always shows me love, so I feel it’s my duty to give them something to cheer about. Already a world champion, Trout had the opportunity to face future Hall of Famer Miguel Cotto in 2012 in New York, and he was able to rise to the occasion that the stage demanded. He dominated Cotto over 12 rounds in his first start in New York and although he faltered in his return to New York against Lara, he remains fond of fighting in The Big Apple. “New York is always a great place to be,” said Trout. “I had the biggest moment of my career in New York, but I want to make up for my last fight at Barclays Center, so fans can definitely expect fireworks on October 14. I’m coming to fight. Boxing Insider Notebook: Andrade, Lara, Matchroom, Conte, Ortiz, and more…. The following is the Boxing Insider notebook for the week of September 26th to October 3rd; covering the comings and goings in the sport of boxing that you might have missed. Sports scientist, Victor Conte, reveals in detail, why he believes undefeated heavyweight contender, Luis Ortiz (27-0, 23 KOs), is innocent in regards to his recent positive drug test. An expert in the field of scientific nutrition, Conte feels, Ortiz was negligent in declaring his blood pressure medicine, but also believes there is no evidence of intent to cheat. Conte’s position is that the WBC heavyweight championship fight between, Deontay Wilder (38-0, 37 KOs) and Luis Ortiz, scheduled for November 4th on Showtime, should move forward without delay. Matchroom Boxing USA announced on Monday it has secured the services of Ed Keenan’s Event Marketing & Communications, a media relations company, as Matchroom launches its promotional arm in the US and promotes its first event, the HBO televised return of former middleweight world titleholder Daniel Jacobs on November 11. Ed Keenan’s career in boxing began with the heavyweight showdown between Evander Holyfield and George Foreman, the first fight under the TVKO banner (now HBO PPV). He has since worked on many of the biggest fights in boxing over the years, including the biggest pay-per-view events in the sport: Floyd Mayweather vs. Manny Pacquiao, Julio Cesar Chavez vs. Oscar De La Hoya, Canelo Alvarez vs. Gennady Golovkin, Canelo vs. Miguel Cotto, De La Hoya vs. Pacquiao, Roy Jones Jr. vs. John Ruiz, Jones Jr. vs. Antonio Tarver I, II & III, Felix Trinidad vs. Bernard Hopkins, Lennox Lewis vs. Mike Tyson, Holyfield vs. Lewis I & II, Pacquiao vs. Juan Manuel Marquez III & IV, Andre Ward vs. Sergey Kovalev I & II, Riddick Bowe vs. Holyfield II & III, De La Hoya vs. Fernado Vargas, and on one of the best trilogies in boxing history, Artuto Gatti vs. Micky Ward. Ed has also worked with fighters such as Lewis, Jones Jr., Trinidad, Gatti, Vargas, Cotto and “Prince” Naseem Hamed for most of their professional world title bouts. Undefeated two-time junior middleweight world champion, Demetrius “Boo Boo” Andrade makes his return to HBO® when he takes on undefeated Alantez Fox in a 12 round middleweight bout that will take place on Saturday, October 21st from Turning Stone Resort Casino in Verona, New York. Andrade of Providence, Rhode Island was a 2008 United Sates Olympian, and the 2007 World Amateur Champion. His success has continued in the professional ranks, as he has a perfect professional resume with a record of 24-0 with 16 knockouts. Andrade, 29 years-old captured the WBO World Junior Middleweight crown with a 12-round split decision over fellow Olympian and previously undefeated Vanes Martirosyan on November 9, 2013. Andrade defended the title with a sensational 7th round stoppage of mandatory challenger Brian Rose. On March 11, 2017, Andrade became a two-time world champion when he won the WBA World Junior Middleweight Championship with a 12-round split decision over reigning champion Jack Culcay in Ludwigshafen, Germany. Fox of Forestville, Maryland has a undefeated mark of 23-0-1 with 11 knockouts. The 25 year-old Fox stands 6’4″, and he has used that height to score impressive victories over Kenneth McNeil, Ronald Montes, Paul Valenzuela Jr., and previously undefeated Patrick Day. “The Olympics were ten years ago. He is not the same fighter. I don’t see anything that he will do that can put a loss on my record. I am going on HBO to put on a boxing exhibition,” said Fox. “I am very happy for Demetrius to be back in the ring on HBO. There are a lot of compelling fights that could take place on HBO for Demetrius’ future career,” said Artie Pelullo, President of Banner Promotions. The Honda Center in Anaheim, California was the host site for last night’s Bellator MMA card and was the host site for tonight’s Premier Boxing Champions (PBC) card on Spike TV. 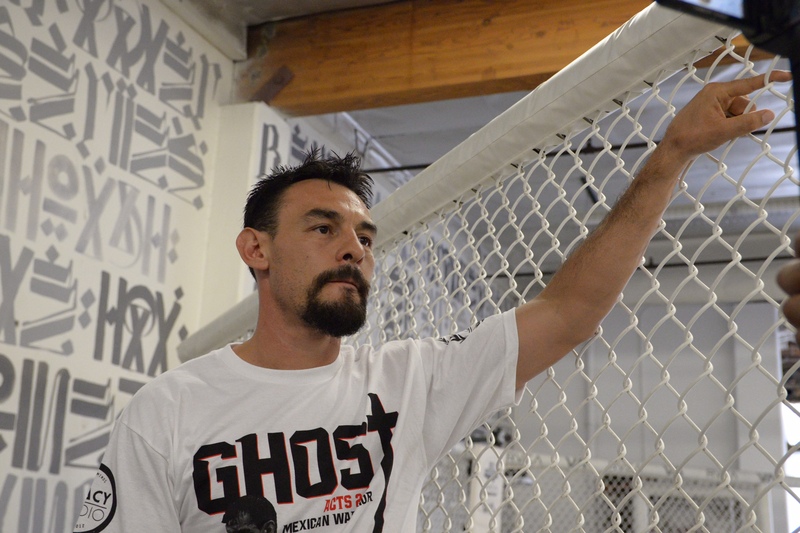 Three bouts were scheduled to be televised on tonight’s card and featured a welterweight main event between Robert Guerrero and David Peralta. The opening bout of the night was between US Olympian Terrell Gausha (18-0) and Steve Martinez (16-2) in the junior middleweight division. On paper, this looked to be the most competitive fight of the night. Martinez looked like the bigger boxer and both fighters fought out of an orthodox stance. Martinez’s jab was accurate in the first round and he mixed up his shots to the head and body, but Gausha was able to end the round with a stiff counter right. Martinez out threw Gausha in the second round, but Gausha was connecting with the cleaner counters. There were several good exchanges in the third and fourth rounds, but it looked like Gausha was making Martinez miss more while landing at a higher percentage. Martinez’s pressure was constant in the middle rounds and could have won him some rounds in the eye of the judges. Gausha was more active in the seventh round than in the previous rounds, and both boxers were willing to stand in the pocket and exchange blows. Gausha’s jab and lead uppercut were effective in slowing down Martinez in the eighth round, and the ninth round opened up with a flurry with both boxers taking and landing hard shots. By the final round the fight could have been scored for either fighter and both boxers tried to leave it all in the ring and let their hands go, but neither man was able to score that definitive knockdown to lay claim to a convincing victory. The judges scored the bout 95-95, 97-93, and 97-93 for Terrell Gausha. The next bout of the night was between Alfredo Angulo (24-5) and Freddy Hernandez (33-8) in the Super Middleweight division. Both boxers have spent most of their career fighting in the junior middleweight division, and a loss for either would likely signal the end of any future title shots, and they fought like it in the opening round. Neither Hernandez nor Angulo spent any time feeling the other out and freely exchanged power shots. Hernandez was landing with more frequency and the cleaner shots in the opening round. Hernandez started off as the more accurate boxer in the second round, but Angulo took some of the best punches that Hernandez threw and was beginning to get within range and land hard punches of his own. with multi punch combinations. Hernandez’s dominance continued into the fourth round and Angulo was visibly frustrated at the end of the round. Angulo had a little more success in the fifth round and was able to stun Hernandez with a low blow and a wild left and right hook to the head of Hernandez. Angulo was able to open up a cut over the left eye of Hernandez, who was starting to breathe heavily from his open mouth. Hernandez’s corner did a good job at closing up his cut before the start of the sixth round and Hernandez was able to go back to pop shotting Angulo from the outside. Hernandez’s cut was re-opened in the final minute of the sixth round from a good right hand by Angulo. Hernandez had a difficult time keeping Angulo at a good range in the seventh round and his eye was bleeding profusely, but he still out landed and out threw Angulo. The action was intense and the volume of punches thrown in the final three rounds was high, but it appeared to be Angulo who was landing the harder punches while it was Hernandez who landed the higher number of punches. The judges scored the bout 98-92, 97-93, and 97-93 for Freddy Hernandez. The main event of the night was between Robert Guerrero (33-4-1) and David Peralta (25-2-1) in the welterweight division. Guerreo was a former two division world champion and has been in the ring with the likes of Floyd Mayweather Jr. and Danny Garcia. David Peralta has spent his entire career fighting in Argentina and has never fought in the United States. Guerreo, a southpaw, started off by pressing forward more and showing head good head movement. He looked like he was giving up several inches in height to Peralta. Guerreo was able to get past the jab of Peralta in the opening round and land several hard left hands to the chin. Guerreo spent most of the second round patiently looking for a clean counter to land while Peralta seemed content on throwing his range finding jab but not much else. Peralta was able to catch Guerreo by surprise with two quick counter right hands but Guerreo was accurate with his counter punching afterwards in the third round. Guerreo did open up a cut near the hairline of Peralta in the third. Guerreo was able to snap the head of Peralta backwards several times in the fourth round with hard straight left hands. However, Peralta was able to answer with a strong fifth round and even stunned Guerreo with a combination that ended with a straight left jab. Peralta continued the positive momentum into the sixth round and his style was appearing to baffle Guerreo. Guerreo fought with increased desperation in the seventh round and likely won the round based on his aggression. However, that aggression disappeared in the eighth round and Peralta used his height to his advantage with an effective and accurate jab. Peralta had Guerreo backing up in the ninth round and was more willing to throw combinations and even sent Guerreo backwards into the corner with a hard straight right hand. Guerreo hit the ropes and was able to pop back up, but would have been knocked down if the ropes were not there. The ninth round was a very strong round for Peralta. Peralta’s punches were snapping the head of Guerreo in the tenth round and Guerrero was not able to launch an effective offensive attack in the eleventh. There were a lot of close rounds, but this writer felt Peralta was ahead on the scorecards going into the twelfth and final round. Peralta finished strong by looking like the fresher fighter and by being the aggressor. The judges scored the bout 115-113 Peralta, 115-113 Guerrero, 116-112 Peralta in a major upset.